Patek Philippe Advanced Research opens up a further chapter with the launch of two important innovations in the field of horological design. One of them is the new Spiromax® balance spring made of Silinvar®; apart from the patented terminal curve (Patek Philippe boss at the outer end), its geometry now also features an inner boss near the integrated collet. 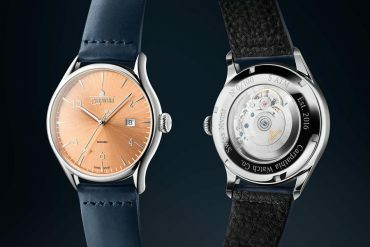 The second one is a compliant (flexible) mechanism crafted from conventional horological steel that is used to set the second time zone in time- zone watches. To welcome these innovations, the manufacture is launching the sporty and elegant Aquanaut Travel Time Ref. 5650 Patek Philippe Advanced Research in a limited edition of 500 watches, the first ones to be endowed with both of the avant-garde developments. At Patek Philippe, the symbiosis of tradition and innovation has been a key driver of the manufacture’s evolution since it was founded in 1839. 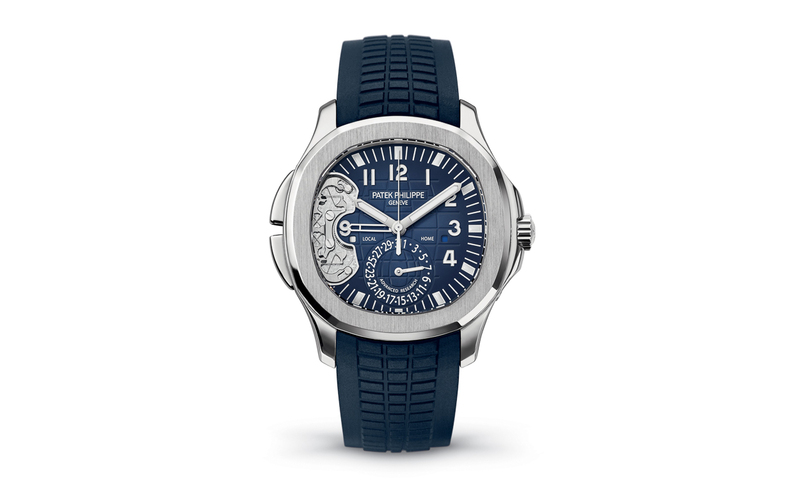 Given the outer and inner beauty of Patek Philippe timepieces, it is clear that traditions are nurtured here. They are manifested by precious materials such as gold and platinum, choice gems, elaborate handcrafts such as engravings, enameling artistry, gemsetting expertise, filigreed finissage of movement components such as polished chamfers, Geneva striping and circular graining, as well as polished sinks, to name just a few. All of these traditions would not have survived if Patek Philippe had not consistently emphasized a forefront position in technology as well. During the past 178 years, this innovative thrust resulted in over 100 patents, of which some 20 are of decisive significance for the watchmaking industry. One of them is the free mainspring with a slip bridle invented by Jean Adrien Philippe in 1863. In the 20th century, it paved the way for self-winding wristwatches. So is the Gyromax® balance patented in 1949/1951. It allows the rate of the movement to be optimized simply by adjusting the inertia of the balance without changing the active length of the hairspring. It was a paradigm change as regards the precision adjustment of wristwatches and still gives Patek Philippe a competitive advantage to this very day. When it established the “Patek Philippe Advanced Research” project at the beginning of the 2000s, the manufacture launched an avant-garde innovation program that enriched traditional development activities with research in the domains of “new materials,” “new manufacturing technologies,” and “new conceptual fundamentals.” In this context, the researchers at Patek Philippe often collaborate with colleagues at other respected manufactures but mainly focus on close cooperation with independent development facilities such as the CSEM research laboratory and the Ecole Polytechnique Fédérale de Lausanne (Swiss Federal Institute of Technology Lausanne) that operates globally leading micromechanical and electronics research institutes in Neuchâtel at the foot of Switzerland’s Jura mountain range. 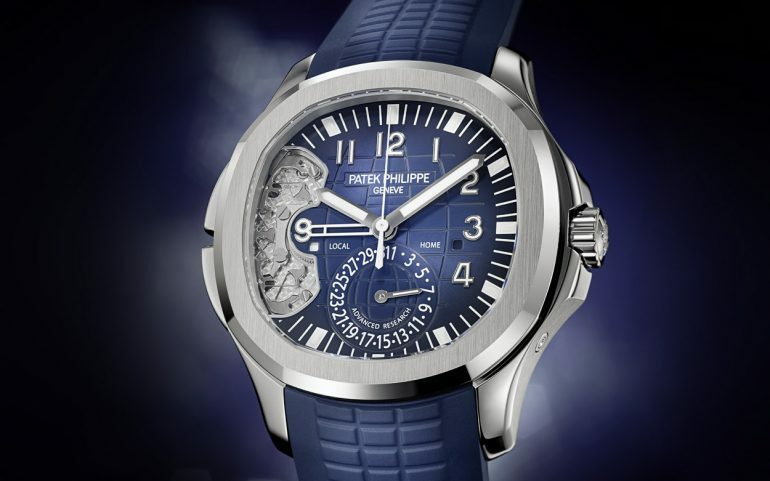 Additionally, Patek Philippe has been financing the chair held by Professor Simon Henein for the past five years. He is the director of the Instant-Lab of the Institute for Microtechnology in Neuchâtel that focuses on micromechanical and horological development concepts. In the past twelve years, these partnerships have brought forth groundbreaking innovations such as Silinvar®, a completely new material with fantastic properties that opens up unprecedented opportunities in mechanical horology. The “flexible mechanisms” concept is just as revolutionary. It paves the way for totally new approaches in watchmaking. To showcase each important and highly practical innovation step within the scope of the Patek Philippe Advanced Research venture, the manufacture launched special limited-edition timepieces that were the first to be endowed with one of the state-of-the-art solutions. Silinvar® is a novel, patented material based on monocrystalling silicon. 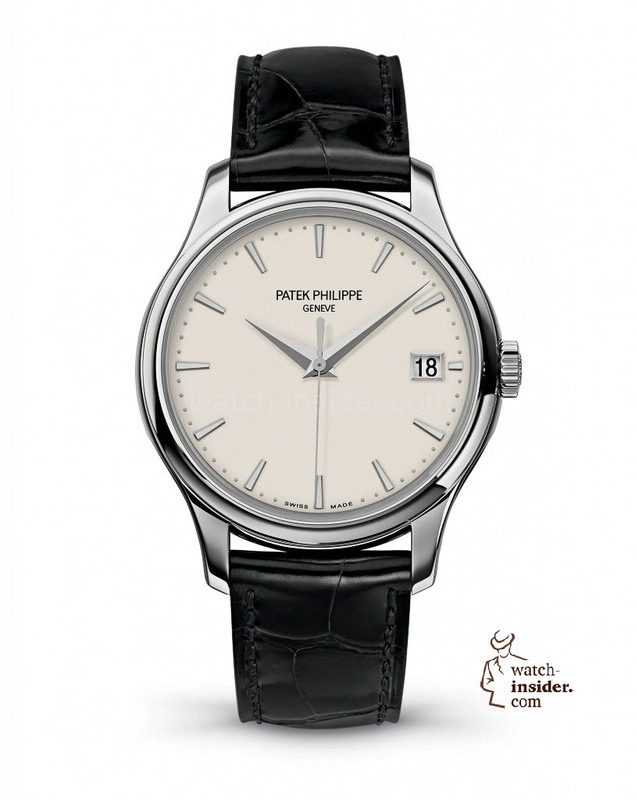 It was developed jointly by Patek Philippe, Rolex, and the Swatch Group together with the CSEM in Neuchâtel. CSEM is a Swiss research and development center specialized in nano- and microtechnology, microelectronics, systems engineering, and communication technologies. Silinvar® is particularly predestined for applications in horology. A patented oxidation process brings about a molecular change in its outer layers, giving it temperature-compensating properties. Thus, Silinvar® components remain virtually unaffected by temperatures ranging between -10°C and +60°C. One could say that they are invariable: Silicon + Invariable = Silinvar®. DRIE process and the know-how accrued in applications of the process. It improves reliability due to zero lubrication, less moving mass and corrosion resistance, and is self- centering. Launch of the Ref. 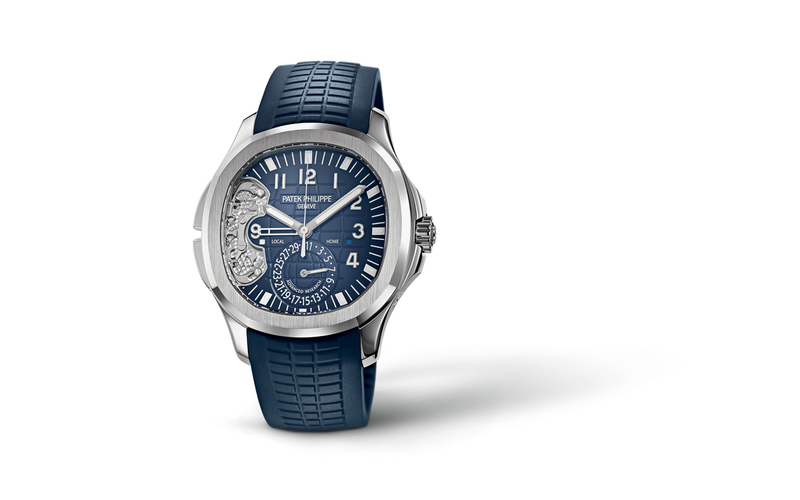 5250 Annual Calendar Patek Philippe Advanced Research with a silicon escape wheel in a limited edition of 100 watches. Launch of the Ref. 5350 Annual Calendar Patek Philippe Advanced Research with a Spiromax® balance spring and an escape wheel made of Silinvar® in a limited edition of 300 watches. Today, the Spiromax® balance spring crafted in-house is deployed in most Patek Philippe manufacture movements, including the calibers 240, 215, 28-520, and 324. Launch of the Ref. 5450 Annual Calendar Patek Philippe Advanced Research with a Pulsomax® escapement and a Spiromax® balance spring in a limited edition of 300 watches. Launch of the Ref. 5550 Perpetual Calendar Patek Philippe Advanced Research with the Oscillomax® ensemble in a limited edition of 300 watches. 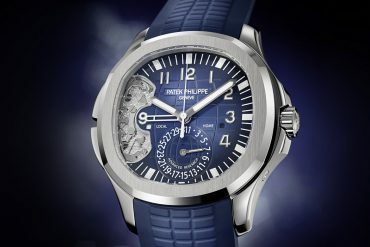 These technological advances are based not only on the use of latest-generation resources such as computer simulation, but even more so on the unique competencies that Patek Philippe has united under its roof in the Advanced Research department as well as the creativity and production capacities within the manufacture. Patek Philippe had the opportunity to assemble the best experts in their disciplines and with them to form a team possessing extraordinary know-how. After several years of research, Patek Philippe is introducing the new Spiromax® balance spring with an improved geometry based on the addition of an inner boss, a bulge at the inner end of the spring for which several patents were awarded. It was developed within the scope of the Patek Philippe Advanced Research concept and offers ideal prerequisites for mastering one of the fundamental problems affecting oscillators with balance wheels and hairsprings: isochronism. The balance wheel is a rotating pendulum that oscillates back and forth between two points of maximum deflection. The angle between the points of maximum deflection defines a semi-oscillation and is referred to as amplitude. If every semi-oscillation has the same duration regardless of its amplitude and the orientation of the watch, the balance is isochronous. This is an ideal situation compromised by many intrinsic and extrinsic influences. In the past centuries, many of these disruptive factors were mitigated or even eliminated. In particular, the Patek Philippe Spiromax® balance spring made of Silinvar® launched in 2006 brought about an enormous improvement. A degradation of isochronism occurs when the person wearing the watch is sitting with an arm at rest on a table or standing: in these cases, the balance is vertically oriented. This is because the hairspring’s center of gravity does not coincide with its center of rotation and the offset constantly changes as it expands and contracts. Consequently, the speed of the balance’s oscillation is braked or accelerated, depending on the vertical position (crown left, top, right, or bottom). 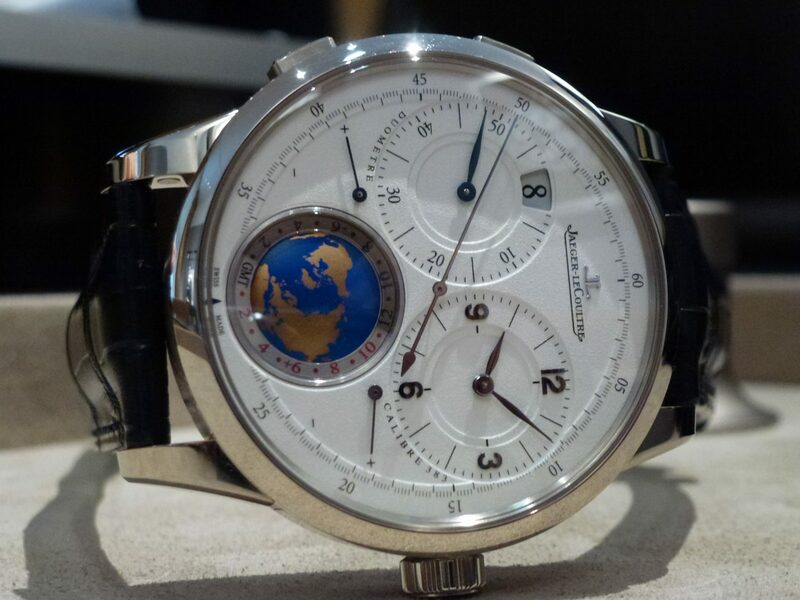 This so-called center-of-mass imbalance could only be corrected with a tourbillon in the past. This is an effective but extremely elaborate solution that is difficult to implement. One of the successful outcomes of the Patek Philippe Advanced Research project involved a significant reduction of the negative impact of the center-of-mass imbalance on the isochronism of the balance spring itself. A glance at the Spiromax® balance spring made of Silinvar® shows that the outer boss is now paired with an inner boss. The outer boss, also referred to as the Patek Philippe terminal curve, improves the isochronism of the balance in all positions by assuring the adequately concentric expansion and contraction of the balance spring. It compensates the disruption of isochronism caused by the escapement and the rotation of the balance regardless of the amplitude. Conversely, the inner boss offsets positional changes of the center of gravity to assure the highest possible rate accuracy in vertical orientations. For the owner, this means that the watch will not run slower or faster regardless of its orientation. The production of hairsprings with the DRIE process guarantees a perfect reproduced geometry, including the positional changes of its center of gravity. 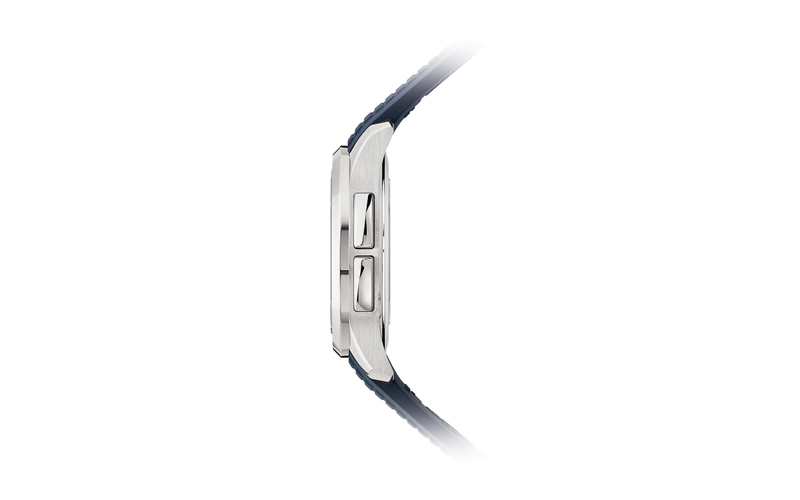 Because silicon cannot be deformed, its properties are not affected even when the watch is worn daily. The precisely defined geometry of the inner boss causes a controllable position change of the center of gravity while the spring contracts and expands. This significantly reduces or even eliminates the center-of-mass imbalance of the hairspring during each semi-oscillation. The result is a degree of rate accuracy that exceeds nearly all standards for mechanical watches regardless of their orientation. mechanical watches. The mean rate of movements with a diameter of more than 20 mm must range within -3 to +2 seconds per day. For Patek Philippe tourbillon timepieces, the tolerance is a strict 3 seconds per 24 hours. Hundreds of repetitive measurements performed by Patek Philippe’s certification laboratories have shown that a mechanical Patek Philippe movement with a Spiromax® balance spring that has both an outer and an inner boss can be adjusted to a mean rate of -1 to +2 seconds per 24 hours, which matches the rate accuracy of a Patek Philippe movement with a tourbillon. The new Spiromax® balance spring with an inner and outer boss reconfirms the extraordinary benefits of Silinvar®, the silicon derivative that Patek Philippe launched in 2005 as a world debut. Machining it with the DRIE process allows the geometry of the hairspring to be altered at any location to systematically influence its oscillation behavior and thus its isochronism. This is an ambitious goal because a precise and dependable rate is an important prerequisite for assuring the successful future of the proud tradition of mechanical timekeeping. For this reason, Patek Philippe’s objective is to gradually integrate the balance spring with this geometry in its current production schedule. But Patek Philippe Advanced Research also extends to other fields as illustrated by the next innovation within the framework of this presentation. The second of the two innovations presented here relates to a steel part manufactured with conventional production methods. This is a clear indication that work within the scope of the Patek Philippe Advanced Research program goes beyond new materials and technologies but also focuses on the optimization of already existing mechanisms to further evolve watchmaking artistry with regard to long-term reliability and rate accuracy in a balanced approach that melds tradition and innovation. To fathom the limits of mechanical ingenuity, the engineers embedded in the Patek Philippe Advanced Research venture directed their attention to so-called “flexible mechanisms”, a new domain of research inspired by Professor Henein who holds a chair funded by Patek Philippe. The principle of “flexible mechanisms” harnesses the elasticity of materials to replace mechanical articulations composed of pivots and leaf springs. This approach has already proven itself in various applications that require extreme precision, especially telescopes in space research. To assess its suitability and feasibility in horology, the researchers attempted to integrate the concept in the time-zone setting mechanism of the caliber 324 S C FUS movement. It is a kinematically very complex mechanism (interaction of two rotary motions, disconnection of pushers) involving functions that are commonplace in horology for controlling a wide range of forces, among them those of levers and clicks. 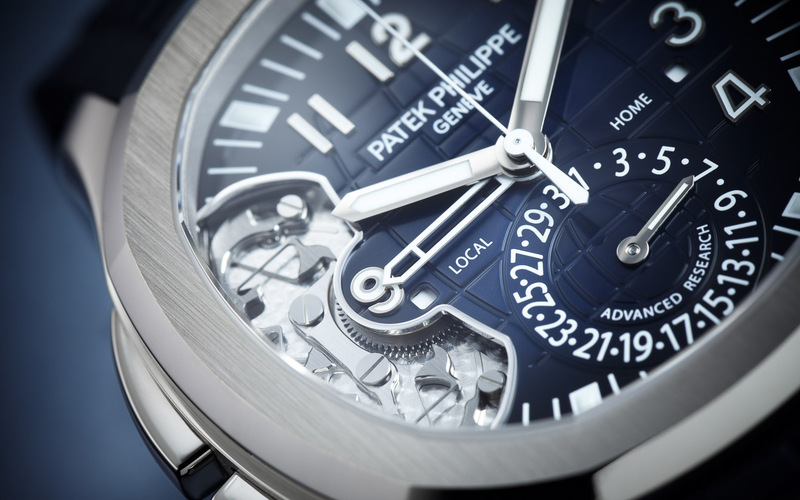 The innovative concept of flexible mechanisms also allowed Patek Philippe to accrue extensive know-how in the development of computer simulations. and cross over each other at a distance of 150 microns (0.15 mm). 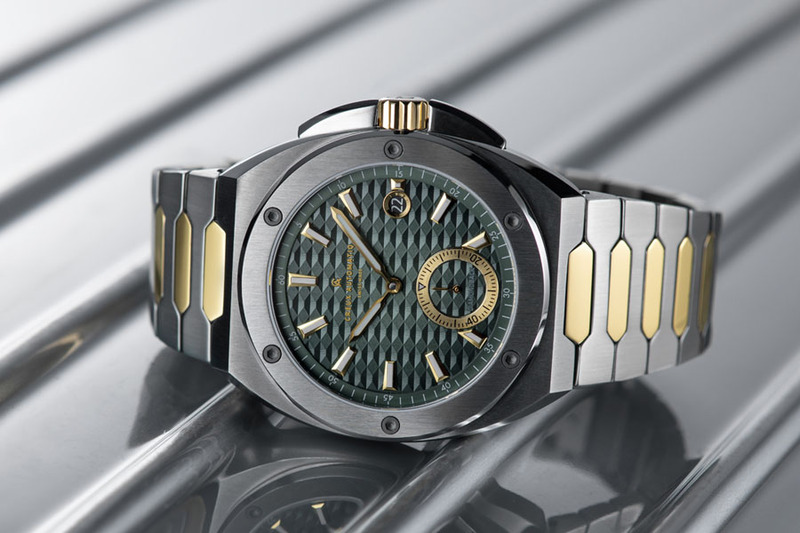 They are manufactured with conventional horological steel using methods typically deployed in watchmaking companies with latest- generation computer-programmable machines. The new control mechanism for time-zone adjustments with flexible elements unites many advantages: simpler assembly (12 parts as opposed to 37), faster assembly (4 screws), flatter silhouette (1.24 mm versus 1.45 mm), no mechanical play, no friction, and no arbor wear, which assures completely lubricant-free functionality. On the other hand, these benefits impose greater requirements as regards conceptual complexity and production methods that call for more extensive know-how. The surfaces of the new mechanical setting element comply with the directives of the Patek Philippe Seal and are carefully finished and decorated according to grand Genevan watchmaking traditions. A complex steel part of this kind calls for extremely sophisticated artisanship. The visible surfaces are precision ground, the invisible undersides carefully brushed, and the insides of the leaf springs sandblasted. All edges are meticulously chamfered and polished (except, for functional reasons, those of the leaf springs). The surfaces around the bores for the mounting screws are circular grained. With this time-zone control concept based on steel flexible mechanisms, Patek Philippe has not only created a mechanical element that increases the reliability of movements. The Geneva-based manufacture has also opened up totally new perspectives for numerous future applications in mechanical horology. A first step toward a new dimension.